Replacement dolly for use with the Deluxe 20 Bullet Collection System. Dolly allows 20-gallon barrels used in system to be maneuvered easily for recycling and replacement. 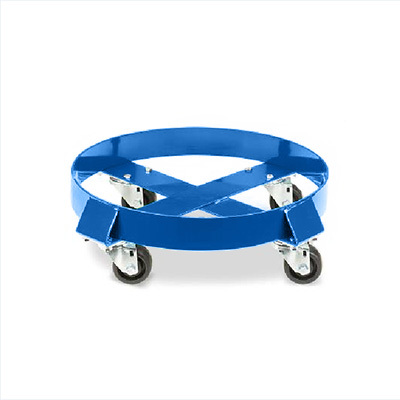 Smooth rolling rubber coated wheels for easy rolling. Dolly rated for 1,000 lbs. Action Target's Deluxe 20 Bullet Collection System is the latest innovation in collecting bullets for recycling. The system attaches to the bottom of the Total Containment Trap deceleration chamber to collect bullets into 20-gallon drums. The drums can then simply unlatch from the chamber and roll out of place quickly and easily.